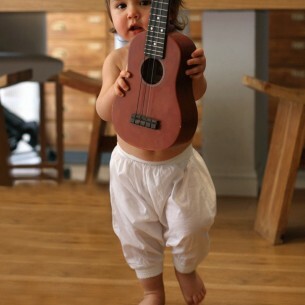 These trousers are made in a super soft cotton which makes them perfect for covering up a nappy – plus as they are elasticated easy to pull up and down for changing. Your baby will be able to crawl around in total comfort. 100% cotton with a soft elasticated waist.